A recent poll gives a sense of just how fractured India’s political future may be. In the first of such opinion polls, the CNN-IBN-CSDS-The Hindu Election Tracker Survey, conducted by the Centre for the Study of Developing Studies (CSDS), predicts a divided mandate that could result in a hung parliament if elections were held now. The survey results predict gains for the Bharatiya Janata Party (BJP) and losses for the Congress. However, no political formation is likely to end up with more than 200 seats in the 543-member parliament, well short of the half-way mark of 272. Interestingly, more than 200 seats could instead go to political parties that are currently not part of either the Congress-led United Progressive Alliance (UPA) or the BJP-led National Democratic Alliance (NDA). That itself has led to speculation amongst political analysts, who believe it may be time for the emergence of a Third Front government. With the Congress tally expected to be 131-139 (down from 206 in 2009) and the BJP set to boost its tally marginally to 156-164 seats, regional parties will likely play a pivotal role in the formation of the next government. For instance, the survey contends that state-based parties like the Trinamool Congress will win 23-27 seats and All India Anna Dravida Munnetra Kazhagam (AIADMK) will secure 16-20, with other gains predicted for Janata Dal (United, 15-19 seats), Biju Janata Dal (BJD, 12-16 seats), YSR Congress (11-15 seats), Rashtriya Janata Dal (8-12 seats), Telugu Desam Party (6-10 seats) and the Telangana Rashtra Samithi (5-9 seats). However, as many of these parties are politically incompatible rivals it is difficult to imagine any significant number of them being part of a so-called non-UPA, non-NDA “Third Front” government. That raises the question of whether the NDA or the UPA could cobble together enough allies to reach the magic figure of 272. Despite the beleaguered UPA’s falling fortunes, it may be in a better position to woo allies like the Trinamool Congress (TMC) in West Bengal, the Samajwadi Party (SP) in Uttar Pradesh and the Janata Dal (United) (JDU) in Bihar, which may be loath to support a BJP-led political formation with controversial leader Narendra Modi at the helm. Yet the results of the survey put Modi at the head of the prime minister’s race. 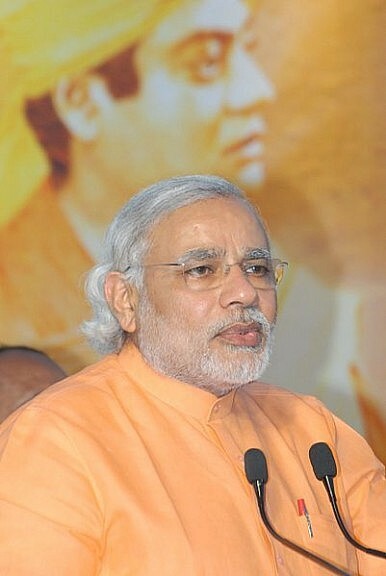 According to the survey, Modi leads with 19 percent of the votes, followed by Rahul Gandhi with 12 per cent, Manmohan Singh (6 percent), Sonia Gandhi (5 percent), Mayawati (3 percent) and BJP patriarch LK Advani (2 percent). The figures are a major turnaround from 2009, when Modi had the support of just 2 percent of voters, while Singh led with 18 percent. Between Modi and the Congress vice-president Rahul Gandhi, the race is tight. The Gujarati chief minister is ahead with 33 percent votes compared to 31 percent for the Congress scion. Modi is more popular than Rahul in North India (37 percent vs. 29 percent), Central India (41 percent vs. 33 percent), West India (43 percent vs. 33 percent) and East India (34 percent vs. 30 percent). However, Rahul trumps Modi in South India, where he leads with 37 percent to 17 percent of the votes. The Congress leader also leads Modi 45 percent to 18 percent among Muslim voters. Meanwhile, 66 percent of Congress supporters want Rahul to run for prime minister, compared with 79 percent of BJP supporters who want Modi to be projected for the post. However, the survey indicates that the choice of the prime ministerial candidate for the two main parties may well be decided not by the Congress or the BJP themselves, but based on their broader appeal to potential allies, whose support will be crucial in government formation. That could mean that Modi’s widely anticipated emergence as the BJP’s PM candidate could be the first casualty if the BJP-led NDA has any chance of forming the next government. Modi represents the hardline Hindu nationalist strain of the BJP, which would alienate parties like the TMC, SP and JD (U), potentially pushing them towards the UPA camp. Irrespective of how the election pans out in 2014, the survey indicates a badly hung parliament that could engender a period of intense political instability. The survey also affirms a trend in recent decades wherein the share of seats won by state-level and regional parties has increased steadily, and coalition governments have become the norm in India, with political alliances forged on the basis of opportunism rather than shared policy objectives. These regional parties will demand greater autonomy in policymaking, all of which will contribute to greater decentralization of power in the post-2014 period. The prospect of Narendra Modi becoming India’s next PM has big implications for Indian foreign policy.